Jhonas Enroth doesn’t have to remind himself about Sweden’s gold medal win at this year’s World Hockey Championships. He’s got plenty of people to help him with that. He was playing in his hometown of Stockholm. He had plenty of support in the seats. And, perhaps sweetest of all, he had ample time to take it all in during Sweden’s 5-1 championship win over Switzerland. For Enroth, who plays for the Buffalo Sabres, it couldn’t have been scripted any better. “I bought 10 tickets for some family and a couple of friends, but since it was my hometown, I probably knew another 50 or 60 people that were in the stands. The 24-year-old goaltender has been able to continue to revel in the victory days after the final buzzer sounded. 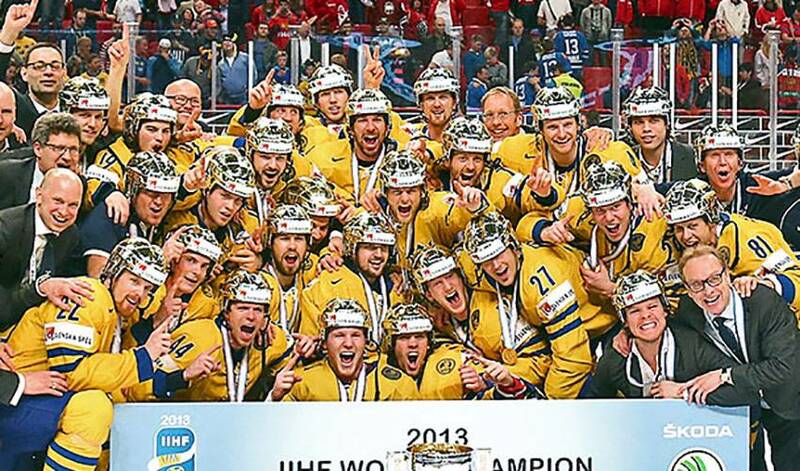 Enroth and his teammates, a group that included fellow NHLPA members Gabriel Landeskog, as well as Daniel and Henrik Sedin, became the first country to win the tournament on home ice in 27 years. The last team to achieve the feat was the former Soviet Union in 1986. Facing off against an upstart Swiss squad, Sweden made sure they gave the partisan crowd plenty to cheer about. It was a decidedly happier outcome than Enroth and the Sabres’ experienced in 2012-13. Buffalo, despite loft expectations, failed to qualify for the playoffs. Enroth, who went 4-4-1, including a shutout, in 12 games on the campaign, had plenty of reasons to smile after his performance at the World Championships, including being named to the tournament’s All-Star Team.